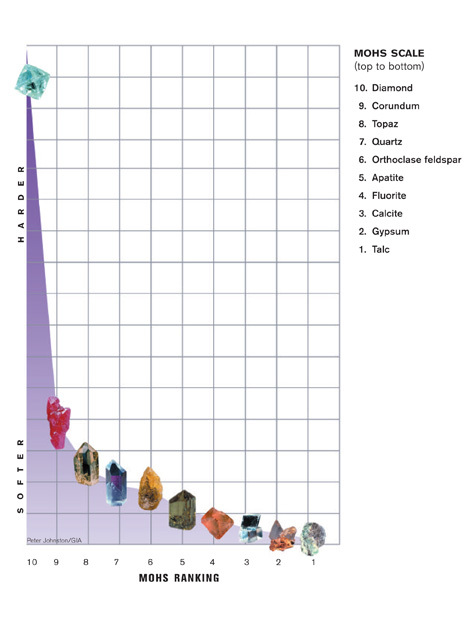 Gem and mineral hardness is measured on the Mohs scale. The numbers are based on the relative ease or difficulty with which one mineral can be scratched by another. But the Mohs scale is deceptive. The steps between the minerals are not evenly spaced. For example, diamond is only one number away, but it’s many times harder than gems in the corundum family. Aquamarine is 7.5 to 8 on the Mohs scale, so it is a durable gemstone for jewelry as long as it is treated with care to protect it against scratching and hard knocks. Aquamarine rates a 7.5 to 8 on the Mohs hardness scale. 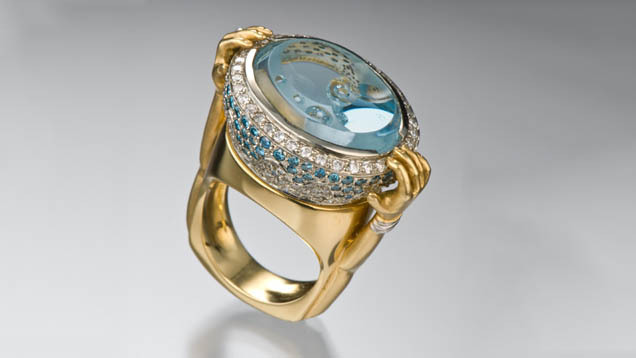 Heat exposure is not recommended for aquamarine, but the color is stable against light exposure. Aquamarine can be attacked by hydrofluoric acid. Warm soapy water is always a safe cleaning method for aquamarine. Cleaning by ultrasonic and steam cleaners is usually safe unless the stone has liquid inclusions or fractures. Rarely, aquamarine might be fracture filled. These stones should only be cleaned with warm soapy water.